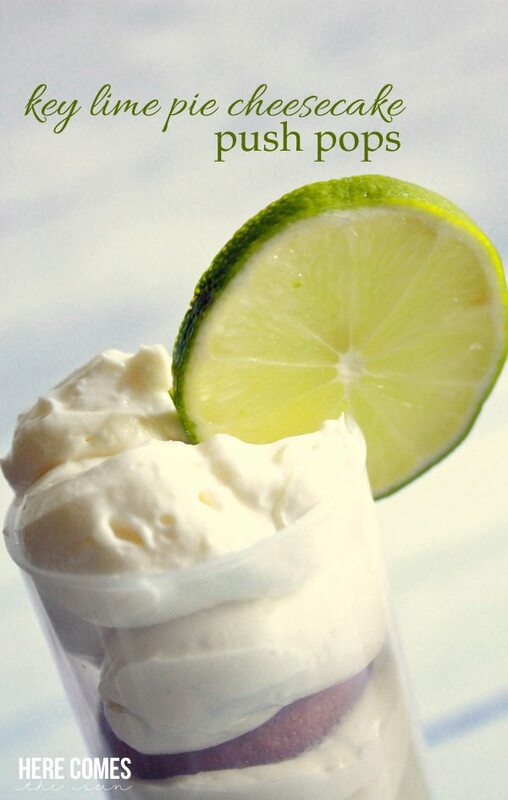 One of my husband’s favorite desserts is Key Lime Pie. And I have to agree with him. I’s pretty darn good. One of my favorite desserts is cheesecake. 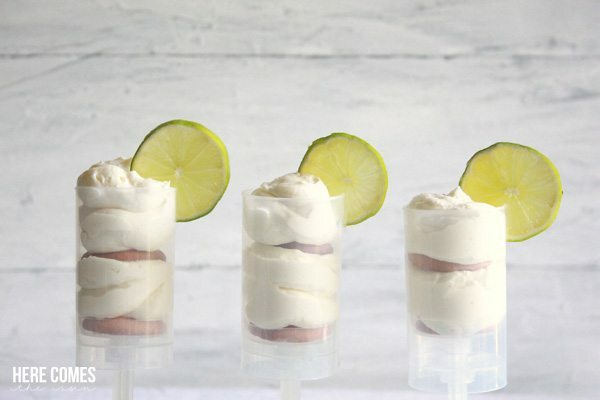 So I combined the two to make Key Lime Cheesecake Push Pops. I used a basic cheesecake recipe and added the juice from a few fresh key limes. 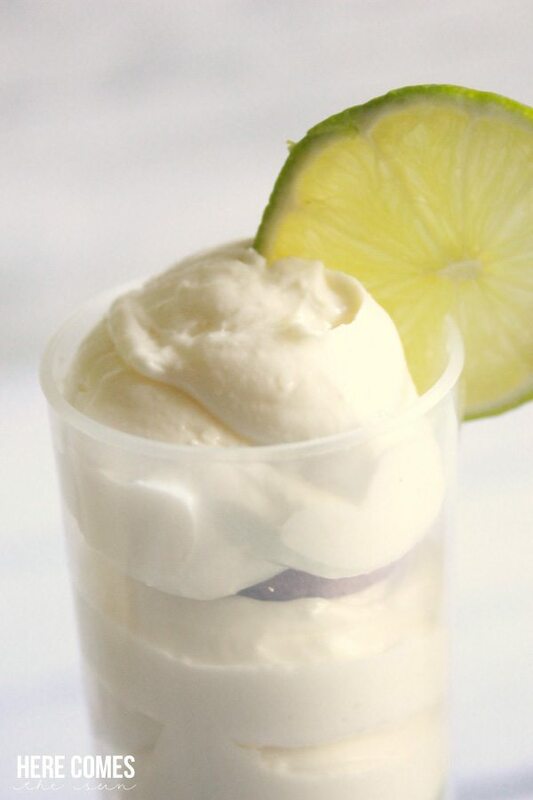 Depending on how you like your cheesecake to taste, you can add more lime juice if needed. When filling the push pop containers, first place a vanilla wafer cookie in the bottom of each container. Then, using a plastic Zip Lock bag as a piping bag, pipe a layer of your cheesecake onto the wafer. To pipe cheesecake, place the mixture into the plastic bag, and squeeze down to the corner. Twist the bag, cut the corner off and squeeze the cheesecake out of the opening. Add another vanilla wafer cookie on top of the layer of cheesecake and finally pipe some more cheesecake onto the top. Garnish with a lime. These push pops were a big hit with the kids. They would be perfect for a party too! I haven’t had key lime pie in forever so I need to try it again. I can’t even remember if I like it. I also love the idea of making it in push pop container makes it so much funner. Thanks for sharing.